A number of people are wondering to know how to embed a Facebook video in your WordPress posts or page. Facebook is one of the leading social media platforms and millions of people are using Facebook all over the world. So building a good Facebook page will only help your website in the long run. Nowadays most of the businesses are focused on video content and even people are expecting video than the content. Facebook live videos are one of the notable features and liked by many people. If you post regular videos on your Facebook page, then why not on your website? 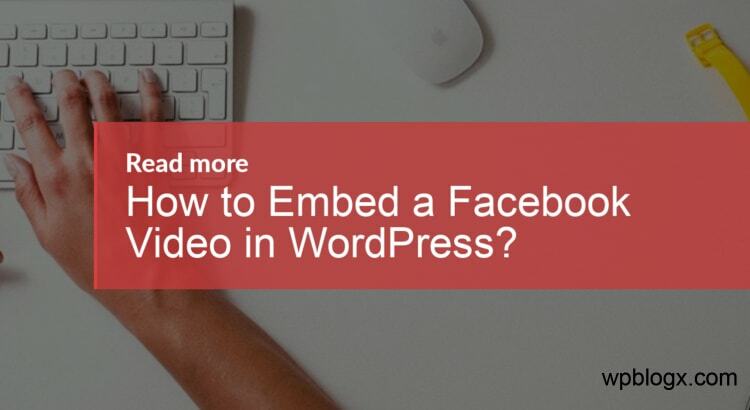 In this post, we will show you how to embed a Facebook video in WordPress. 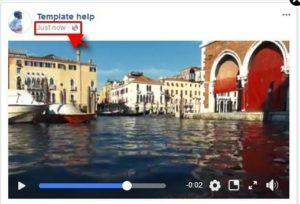 1 Why add Facebook videos in WordPress? 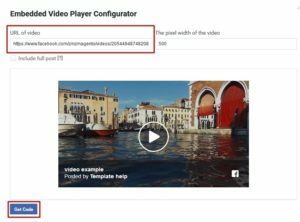 Why add Facebook videos in WordPress? It is recommended to share videos on your website to clearly explain the customers and make it more attractive. Though YouTube is the largest platform for hosting and sharing videos, Facebook has also become the biggest site for social networking and the videos on Facebook are always trending and easily reaches the attention of people. Facebook video quality is good compared to other social media platforms and has numerable features to work with. Facebook has also introduced the Facebook Live and auto-play video features. All these features are widely used to increase the overall reach and user engagement. You can use the Facebook video on your website to grab the attention of viewers. You can even add Facebook page plugin, Facebook like button, and Facebook comments on your website. 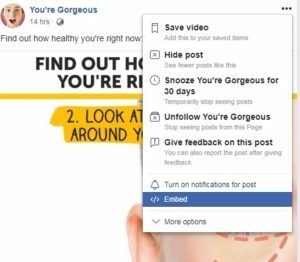 You can even use your Facebook page as a secondary platform to share your videos or blogs and get comments from the people since it is widely spread people who have not visited your site also may look at the video and enjoy it. That means you can even embed and link others video also. In order to bring a visual quality to the customers, let’s see how to embed the Facebook videos on WordPress website. This is one of the simplest methods to directly place a video on your visual editor while creating a post. In order to directly insert the video, you have to copy the URL of the Facebook video. By right-clicking the particular video, you will have to select an option “Show Video URL”. 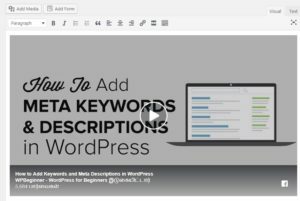 Just copy the URL and paste this URL into your visual editor of any post and it will automatically embed the video on that particular post. This is one of the regular method following by everyone. You have to select the video of your choice and click that three dots on the upper right corner and you have to select the “Embed” option. Note: Make sure you copy the entire iframe code and paste it. If the above methods don’t work then you can embed Facebook video with this feature. You can either use the video from your Facebook page or any video that you want to embed. You have to just copy the URL of that video, to get the URL right click on the date which is under the page or profile name. Then you have to navigate Facebook embedded video player page and scroll down to the embedded video player configurator section. Copy the URL of the video and type the pixel width that you want. Then click the “Get Code” button. 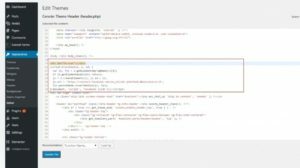 Now you will get the HTML snippet with two codes. Now paste the first part of the code in the themes header.php file. In that file, place the code inside the <body> section. After pasting the code click the “Update file” button to save the changes. Now the Facebook video player is embedded on your website. Next, you have to insert the video. For that copy the second code and paste the code in any post you want the video to embed using the text editor. Now save the changes the video will be inserted in your post. 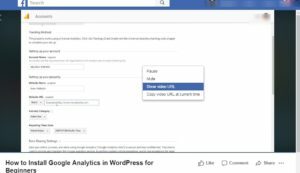 There are dozens of plugins in the WordPress repository to embed Facebook videos on your website. Among them, AE FB video embeds, Facebook video embed and WP Embed Facebook are top in the list. Just to explain to you how to embed we will use the plugin AE FB video embed. Once you activate this plugin, you can embed the shortcode. 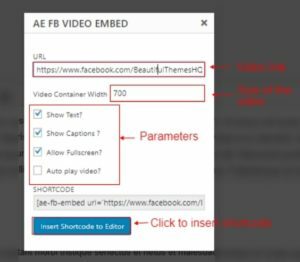 If you want to insert for further posts, if the plugin is activated, inside the post you will see an “AE FB Video Embed” button. Click the button to paste the URL of the video. You can even edit your video size, allow/disable full screen, captions, autoplay and much more. Once done, click on the “Insert Shortcode to Editor” button. In that window alternatively, you can copy the shortcode URL and page in any post you want the video to display. Embedding Facebook videos have become an effective way of forecasting your website. The above mentioned are the possible ways of embedding the Facebook video on your website. 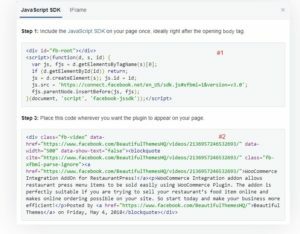 Hope you got an idea about how to embed a Facebook video in WordPress. If you have any queries or suggestions, please feel free to comment to us. You can subscribe to us at Facebook and Twitter. 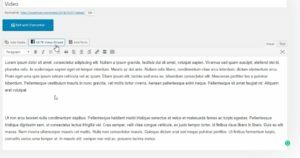 How to Add Image Icons With Navigation Menus in WordPress?